Classic! 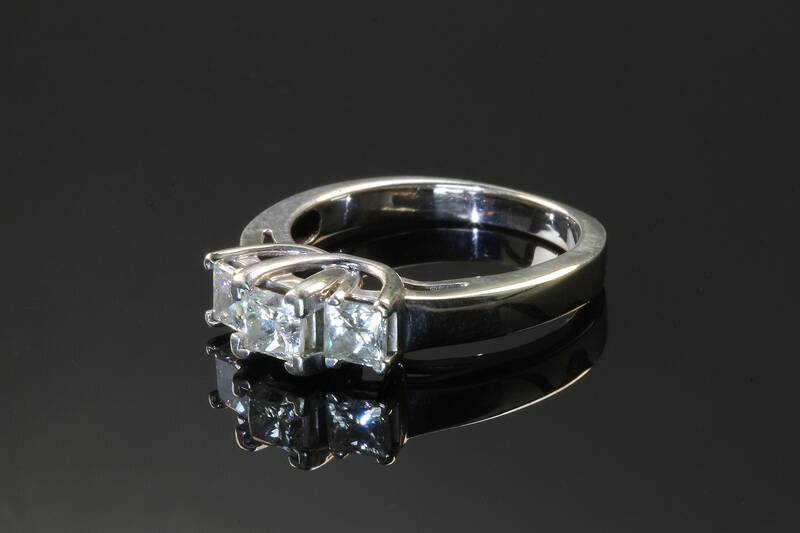 Past, present and future Princess cut diamond ring. 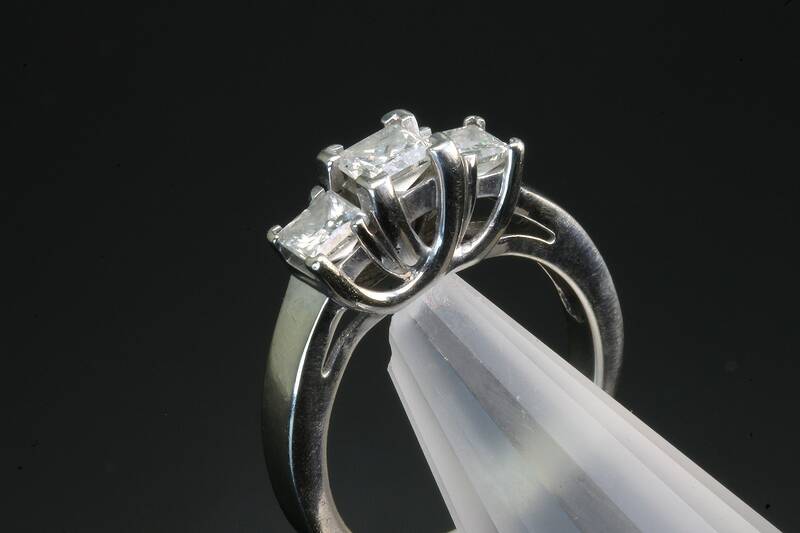 A timeless design, this vintage ring boasts three eye clean, SI2 ,J color dazzling square diamonds. 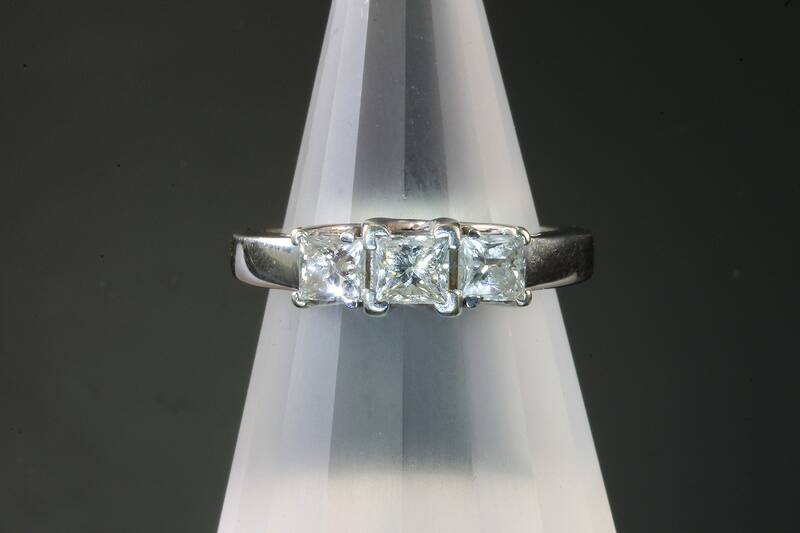 The smile this ring will bring should also be dazzling! 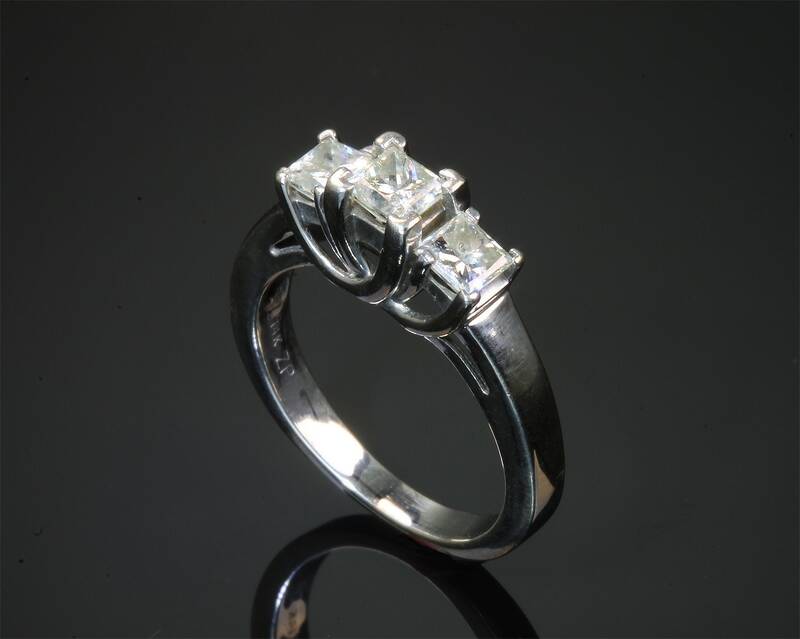 Currently a size 6 we can safely size this ring between a 5 and 8; sizing is free!